April 10, 2014 April 10, 2014 Categories Super Fun Randomafraid, air crash, airplanes, backpacking, dirtypawsblog, experience, fear of flying, flying, scared, terrified, tips, Travel, travel advice, travel blog, turbulence5 Comments on I Want to Travel but I Am Scared to Fly! Your hands gets clammy. Your heart races just a little bit faster. Maybe you haven’t been able to sleep for a couple of days. People have been reciting dubious statistics at you and laughing at your nervousness. The dreaded day comes. You have packed your bag and are excited about your trip away but the fear is heavy in your stomach. A little bump makes you clutch the armrest and an unexplained noise takes your breath away. You search the flight attendant’s face for any sign that things are going wrong. That show you watched last week runs through your mind. Three minutes to disaster. The ground disappears from from view and your stomach drops as the plane levels out. You spend the rest of the flight hyper-alert, restless. Everyone around you settles in and you marvel at their relaxed faces, laughter and ease. The plane touches down and you sigh with relief. You practically skip out of the plane. 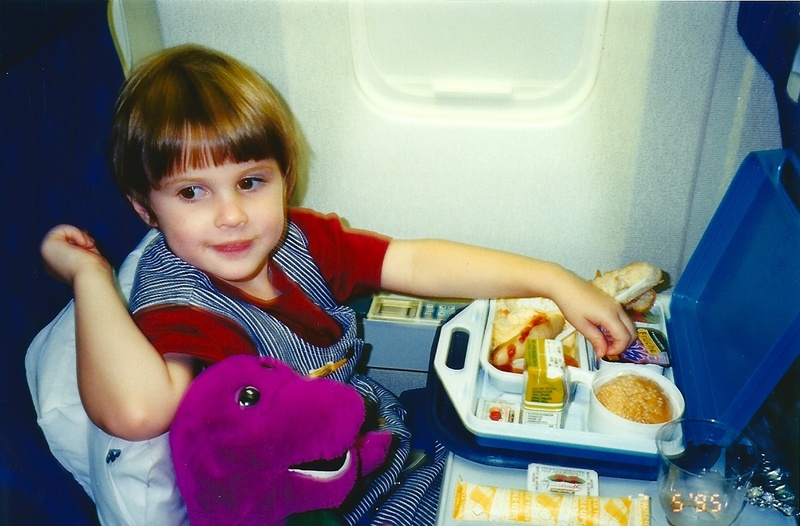 I have been flying on planes since I was six weeks old. I grew up on planes as my parents were nomadic, skipping from country to country. I have early memories of creating elaborate blanket forts around my seat on the plane and looking forward to eating my kids meal. I even remember the days when stretching out on the floor was allowed. In the early years of my life, airports and airplanes became a place of familiarity. In the sky, I felt at home. So why then, fifteen years later, did I find myself shaking and sweaty with fear as I handed my boarding pass over to the smiling flight attendant. Why did I find myself on the verge of panic as the plane wheels left the tarmac and why did I find myself in tears when the plane hit some bumpy air? The answer is that I don’t know. I hadn’t had a bad experience, I wasn’t claustrophobic or scared of heights. Just one day, I was scared. Your fear of flying could be really debilitating or simply an annoyance. Either way, I just want you to know that it is okay and that there is no shame or embarrassment here. It does not make you a bad traveller or a weak person. Although my fear us mostly gone, I must admit I still get a little nervous before flights so I am not claiming to have all the answers or the “cure” but I thought I would just share some of the things that make me feel a little better. Breathing techniques help you to regulate your breath so that you don’t hyperventilate or panic. It helps to ensure you are getting enough oxygen and it simply takes your mind off your surroundings. The internet is full of breathing techniques but I will share a couple of my favourites. When you get a little panicky, close your eyes and simply breathe. Inhale for four seconds. Count the seconds in your mind. Hold the same breath for four seconds. Don’t inhale again for four seconds. Envision each stage as one side of a square. Inhale deeply and at the same time push out your stomach making it round. Hold this breath and your stomach out for three seconds. There is nothing more agitating that having your jeans dig into your stomach or your top ride up to expose the itchy airline seat to your skin. You are already feeling uncomfortable in your mind, you don’t want your clothes to be uncomfortable too! It doesn’t matter what you look like, just wear something comfortable! As a girl, leggings and a snuggly jumper do the trick. if you have to look a certain way at the end of the flight, then get changed onboard. There is nothing worse than sitting on a plane stewing with worry and a (false) sense of impending doom. Now is the time to indulge in all your favourite forms of entertainment. If you normally abstain from trashy magazines, then head to the news agent and stock up. Listen to your favourite upbeat music. Store your iPad with some movies that you have been wanting to watch (avoid drama’s or thrillers, instead load up on comedies). Do whatever it takes to distract yourself. Now your instinct might be to arrive as late as possible so you don’t have to spend much time in the airport but arriving early will mean that you won’t get into the plane stressed and rushed. The aim here is to remain relaxed, calm and controlled and rushing through immigration won’t help. I am not saying you should take the kitchen sink, but if you have a favourite pillow or a special pair of wooly socks then take them along. If it makes you feel a little less detached from your home, then go for it. I know this is a little bit harder nowadays with all the security measures but there is no harm in asking the flight attendants if you could have a quick chat with the pilots. Usually they will be totally okay (and flattered) to talk to you. Ask them questions that might be racing through your mind and take note of how relaxed they are. You can even ask them about their experience and training. Don’t fuel your fear! Watching these shows will just make you more nervous. Just remember that plane crashes are so rare that when one does happen that its a big deal and is often all over the news. If your fear is really bad and you find yourself terrified of the thought of flying, then see a professional therapist. They can teach you so much about managing your anxieties. It might even take only one or two sessions. They can teach you relaxation techniques and get to the root of your fear. Have you ever experienced a fear of flying? Do you have any tips that haven’t been mentioned here? I would love to know, please leave a comment or email me at dirtypawsblog@gmail.com. Oh, I have a terrible fear of flying! It’s crazy because I have been going on planes since I was a child and it didn’t used to bother me. But as I got into my teens and became an adult I started to get more and more nervous. I am now completely terrified of flying. I still fly because I love to travel and I live abroad. But every single flight is a harrowing experience for me and it’s only getting worse. I am often on the verge of tears just thinking about flying! I know all the statistics but nothing makes me feel better. I’m looking forward to reading what your pilot dad has to say. I do try to remember that pilots and air stewards fly all the time and that’s their job- they don’t feel scared about it. No problem Ashley! I was really taken aback by my fear because I used to be so comfortable. It is so much better now though. 🙂 Im sorry about your panic attack! Takeoffs are the worst for me. We are all in this together.